Canadians who are reluctant to travel south of the border for holiday time can still consider the cash-at-par offer available at the Downtown Grand Hotel and Casino in Las Vegas. The hotel will exchange Canadian currency at-par with US money for slot play in the hotel’s casino. The offer is good for exchanging up to $500 per day for gaming. And the term of the offer has been extended until March 31. 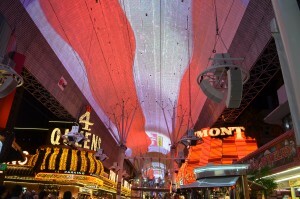 The Downtown Grand says it is the only hotel in Las Vegas to make such an offer specifically to Canadians. But that’s not the only attraction to this hotel, starting with the fact that it is located, not on the Las Vegas Strip, but in the city’s original downtown. This formerly scruffy part of Vegas has undergone extensive revisions in recent years and now presents a very viable alternative location to the Strip. 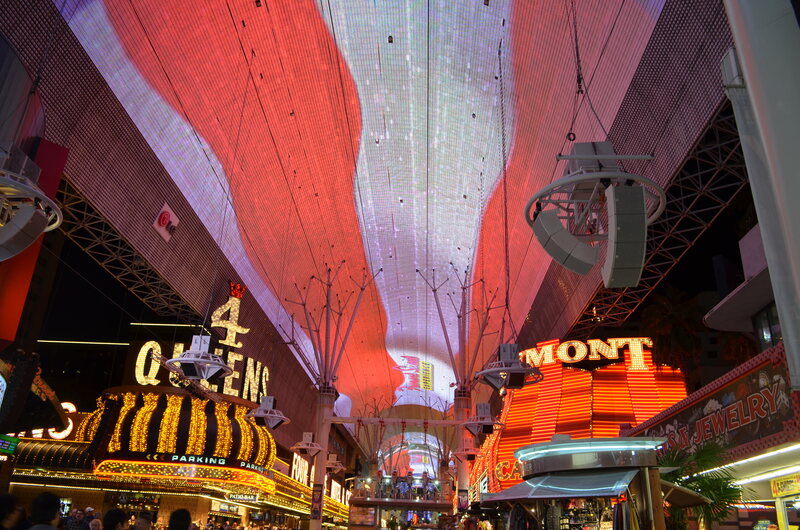 It has a variety of entertainment options, including the Fremont Street Experience video wall walkway, the SlotZilla zipline and the entirely unique Container Park – a small retail and entertainment village built of steel shipping containers. And there are of course plenty of gaming venues. Along with this more old-school Vegas vibe is the benefit of generally lower costs for visitors, in terms of room rates, meals, drinks and other expenses. With the development of more resort properties continuing to proceed northward on Las Vegas Blvd., it may only be a matter of time before the Strip eventually makes contact with downtown Vegas.